Here’s a look at what’s coming out from the non-Big Two (DC/Marvel) comic companies for September 2016. A full list of solicitations may be found here. Like with the Marvel and DC lists, I’m shifting up a bit how I write these posts. Namely, avoiding single issue books mainly starring characters that should be public domain by now, as well as avoiding comics that cost $5 or more. Rather “scorched-Earth,” I know. But I figure it’ll be worth it if it means less complaining about ancient calcified characters (like Archie’s Big Moose) or cutting down on comics spending, especially on expensive single-issue books. “Back to the Future” this month is a “one-off” story about Needles, a teenaged antagonist of Marty in 1985. He’s the guy who gets him fired in part 2’s then-future-year of 2015. 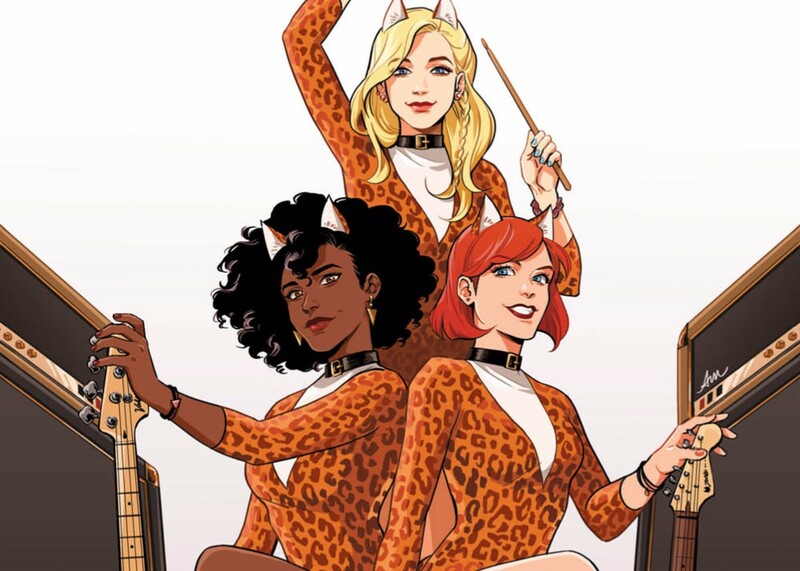 Archie’s launching a new series starring “Josie and the Pussycats,” which is being done in the same modernized style as the other rebooted Riverdale books. Here, the main change is Alexandra’s father (and not her brother) being the Pussycats’ manager. As Comics Worth Reading noted, maybe they thought it’d be more realistic than the teenaged Alexander as their manager? “Bloom County”‘s webcomic revival is getting a print publication. On top of that, we’re also getting a stand-alone book about Bill the Cat telling his “origin story.” Sounds hilarious!